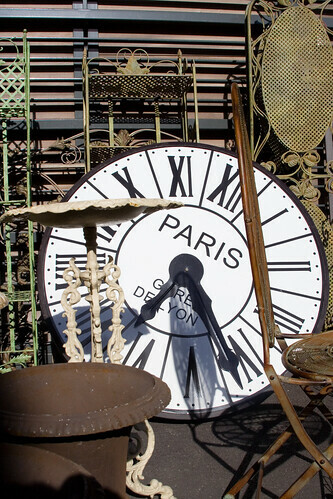 Find treasures from the Marche aux Puces at The Paris Market in Savannah. If you were thinking of traveling to Paris this spring, think again. It may be better to travel to Savannah, Georgia instead. Unbeknownst to many, there is a touch of Paris in Savannah. The Paris Market & Brocante is located at 36 West Broughton Street, within walking distance from all three of our Savannah Vacation Rentals. Once you open the antique front door, you’ll feel like you’ve been transported to Paris. Once you move away from the door, you’ll feel like you’ve been transported to some of the most magnificent markets in the world. Oweners Paula and Tara Danyluk scour the world for treasures. They comb the intoxicating bazaars of Cairo, Alexandria, and India. They visit London wharfs and the flea markets of Hungary and Holland. They don’t hesitate to explore unchartered territory. Yet they return, time and time again, to the place that started it all, the Marche aux Puces in Paris. If ever you have free time during your stay in our Savannah Vacation Rental Homes, wander over to The Paris Market and Brocante. Look at their fabulous collection of lights and their colorful pillows and bedding. Admire the diverse assortment of jewelry that reflects where it was found. Check out the vintage treasures. Never a dull moment in The Paris Market. See for yourself.